Keith Westwater's poetry arises from his appreciation and love of the New Zealand landscape. Well-travelled throughout the land, the poet evokes memories as he revisits places invested with emotion, history and spirituality. Winner, IP Picks Best First Book, 2011. Keith Westwater began writing poetry in 2003 while attending the International Institute of Modern Letters' Writing the Landscape course at Victoria University of Wellington. Since then his work has appeared in a number of literary publications and has received or been short-listed for awards in New Zealand, Australia, and Ireland. Prizes for his poetry include an equal first place in the 2006 Yellow Moon Spirit of Place competition, first place in the International Tertiary Student Poetry section of the 2009 Bauhinia Literary Awards, and Best First Book in the 2011 IP Picks competition. In 2009 he completed a Master of Letters in creative writing through Central Queensland University. 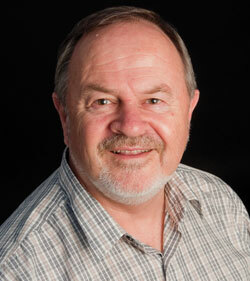 Keith currently lives in Lower Hutt, New Zealand. Before joining the New Zealand Army as a Regular Force Cadet in 1964, he went to school in Northland and Auckland. During his time in the Army and after leaving it in 1985, he has lived in many places in New Zealand and travelled extensively throughout the country and overseas. His working life has centred on teaching and learning and development in the workplace. Keith Westwater lives in Lower Hutt and has been writing poems since 2003. Westwater has been around for quite a few years and these poems Tongues of Ash have been bubbling up inside him for a while. An annotated map of New Zealand, with Wellington as a special inset, is set up as a guide to these poems. Westwater's poems roam around New Zealand and hit on themes of romance, family, love, weather and landscape. The centre of this little book explores his army days at Waiouru and presents his strongest poems. licked Greg with orange rain. Later, his life was cut in two. of that, made sure we all got home. Westwater does not quite have the light touches of Bush, Jones and Fleming, but he refuses to be boring. Statues talk to each other in a small town and a field trip is not always a place of learning. Westwater admits in "Canterbury Visit, Winter 1982", "I have to fumble my way". At times things seem a little clumsy, but there is still something good about Tongues of Ash. Westwater writes poems that make you want to believe the guy will eventually get his stuff together. I am looking forward to his next shot. neat to see a map of places in the poems at the start of Keith Westwater’s collection. Tourists on safari for nirvana. Each of these sections is further subtitled, the first being 'Memories of place'. talk’ imagines and images a meeting between Robbie Burns, Richard Seddon and the Unknown Digger. and nuggets in the creek. As well as natural images, there are many musical notes in this section, particularly in ‘Variations on an early turning’. the words – no mean feat. The use of weight/wait is clever, too. is there time? can you see? speaks millennia in tongues of ash. corrodes the road each rain. with sentries of black beech. This poem is dedicated to Greg Hill; presumably the Greg of the same poem. We learn. This is just one of Westwater’s poems where the no-nonsense language and strong metaphors belie the emotions below. taking. As are those in the last section – Places overseas – experienced and imagined – and thoughts of home. 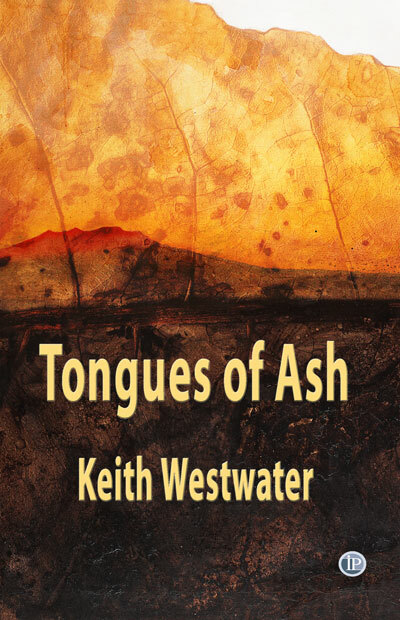 The poems in Tongues of Ash testify to Keith Westwater's long, honest and loving relationship with the New Zealand landscape. They're 'memories of place' and people, evoked and explored (often with wry humour) through closely observed detail and unexpected but apt metaphor. He is less successful, though, when he tries his hand at weather poems or more abstract themes, in which his enthusiasm carries him away in heavy-handed personification or metaphors that seem forced or fail to go off, despite the frequent use of military signatures. Such poems are often conceptually strong, but leave you wishing for the sharpness of deeper thinking. In 'River talk' Westwater addresses the Hutt River: 'Before this walk is over/we need to talk, you and I'. Both the title, and the aforesaid penchant for personification, set the reader up to expect the river to find its voice and tell its story, but ultimately we hear only the poet's mutterings. Other poems fare even less well. 'The love of rocks and water' is a sestina in which the diction, syntax and imagery become convoluted in their rush to achieve the overall conceit. Along with some others, it shouldn't really have seen publication and would better have remained the passable attempt at a creative writing class exercise it probably was – a darling, no doubt, but to be killed off in the long run, to invoke Faulkner's maxim. Tongues of Ash comes from Interactive Press, an independent Australian imprint. For the benefit of Australian readers, poems are frequently provided with footnotes that are old news to New Zealanders, but have the unsettling effect of positioning us within the exotic otherness of colonial/postcolonial discourse. It's a moot point, of course, as to how much we should gloss the culture, but with information these days just a click away, it seems to me that Westwater's poems would have benefited from the conventional use of appended notes, gaining from the mystery and leaving some work for the reader to do. hurls them in the ditch. and the tears of fishermen's widows. Throughout our lives blow many winds and gales. Tomorrow's forecast is for dangerous gales. when storms cause ships on shoals to sail. while men go mad from days of nor'west gales. and sand on winds of time all life assails. lean forward, yell, push back tomorrow's gales.